This is almost one year after your lost. Although, I have never personally met Dame Daphne, I loved her in spirit from all that I learned from the videos posted on youtube. What a gifted life she lived and her legacy has left all of us enriched, especially the orphan elephants. She will be missed dearly. I have a project on being a person who saved an animal/animals I choose her. I found this website while researching about her job. I am very sad she passed away, and I will always remember her and she will stay in my heart forever. She was truly a gem and an inspiration to all who knew her. She is the reason I love elephants. May rest in sweet peace with her elephant family that she so loved. She is truly missed by all of us. I am sorry for your loss. May she be remembered for her work. I first met Dame Daphne through an email request asking her if she knew of a baby male saved by her foundation some 20 years ago. Remarkably she had information on this poor orphaned male we found hopelessly wandering while we were out on a camera safari. This email led to our meeting in NY, the only stop Dame Daphne said she would be making for her book tour, claiming she was too old to be traveling, but the real reason I suspect she did not want to be traveling was due to the beautiful orphanage she had created, with all those beautiful souls she had saved from perishing. I often think of her, not just for the inspiration that she was but of common woman who was able to launch a movement of empathetic awareness. If we cannot save these beautiful creatures from ourselves, what are we? Since I have read the wonderful book “Eine afrikanische Liebesgeschichte” by Daphne Sheldrick I am in love with those beautiful animals. And meanwhile all my students! I am still very sad about the death of Daphne Sheldrick. I know, that is the nature of nature. It is very hard to accept. I always remember the little Aisha and her death makes me sad, too. Daphne and Aisha are living forever! A tragic loss of a role model for three generations of women (and men) who care deeply about ecosystems, wildlife, and how human beings can live in harmony with nature. I’m so sorry to hear of Daphne Sheldrick’s passing she will absolutely be missed. by everyone at the orphanage, she created to save baby elephants. 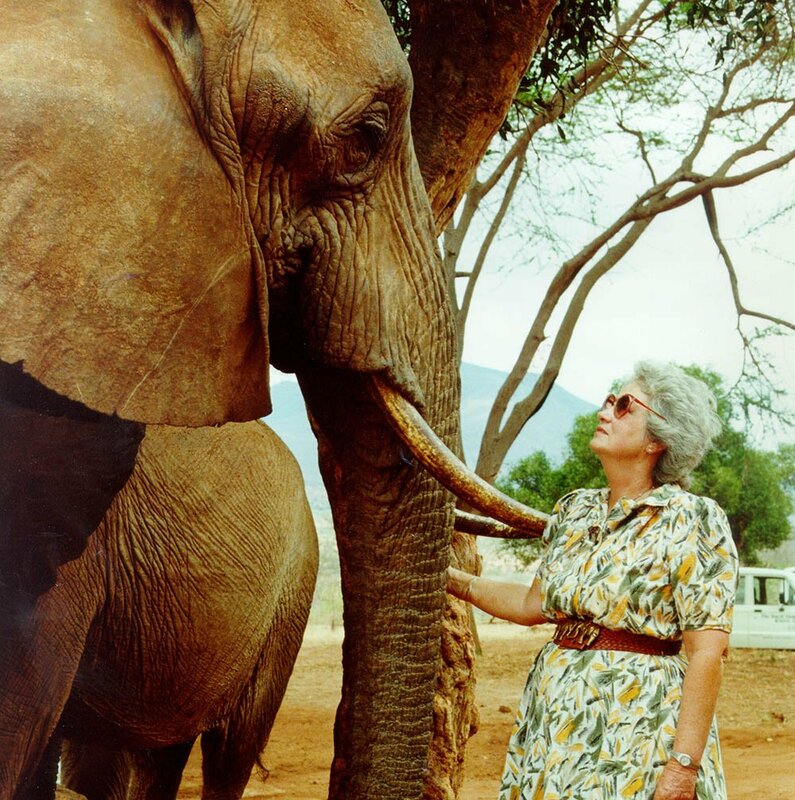 I have been following her for years and her compassion and wisdom about orphaned baby elephants was a testament of her love of the baby elephants. I really admired her dedication and commitment to saving the lives of orphaned baby elephants. She will never be forgotten because her legacy will live on with the David Sheldrick Orphanage. I am sure she is in heaven surrounded by all the baby elephants she tried to save. I will always support the orphanage to keep her legacy alive. But she did pass on her extensive knowledge and experience of baby elephants to the keepers at the orphanage. Rest in peace, you are now an angel overlooking the orphanage. I had no contact with this wonderful woman except through what she created, an exceptional organization doing critical work. How many elephants and other animals owe their lives to the work of the Sheldrick Trust? Condolences to the people left behind who lived and worked with her and loved her. I am sure this time of year is very difficult for your family and I wanted to offer my deepest condolences. I also wanted to share with you the lasting legacy of Dame Daphne Sheldrick. 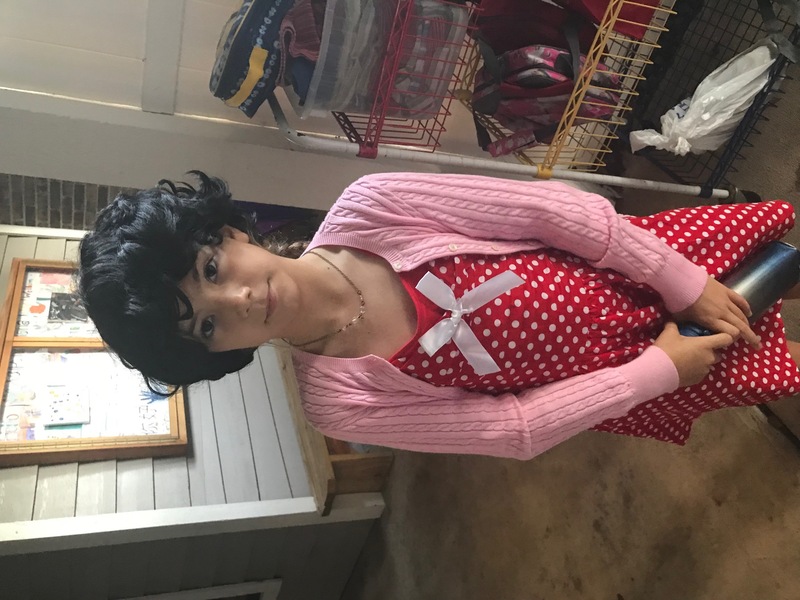 My daughter, Sophia, is a bright, animal loving eight year old who chose Dame Sheldrick for her historical presentation at her Montessori school in Florida, USA. My daughter was completely captivated by Daphne’s life story and her immense contributions to the animal world. She even dressed up for the presentation, wearing a dress she thought resembled Daphne’s sense of style! It’s hard to measure the impact of one life in this world, but clearly Daphne’s influence was enormous and long lasting. It even reached a young girl, half a world away, who may well go on to live a life of service to animals as a result of Daphne’s work. After having studied wildlife conservation and conservation science, I am now forging forth trying to secure my place in this magnificent, inspiring field. One of those who cared enough and whose efforts made a difference has pointed out the way. The work that the David Sheldrick Trust continues to do is an example of just how great an impact it has. However, she will be greatly missed. I am so sad that the elephant kingdom lost such a loving mother. Thank goodness that we had her to build and support these amazing creatures, while we did . Prayers that the foundation continues and helps these intelligent creatures. She will never die. Her memory will live forever through thousands of elephants.